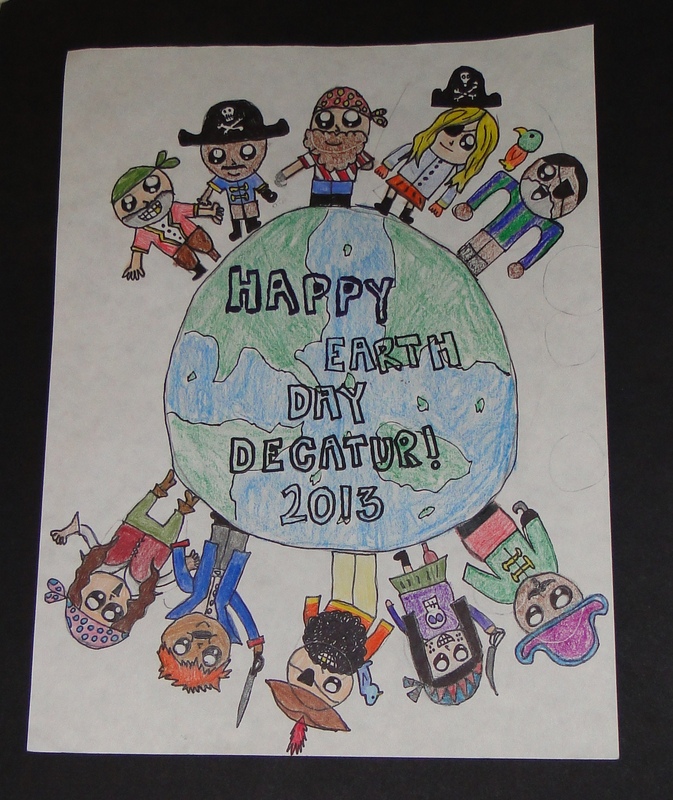 Back by popular demand ….the Earth Day Pirate Themed T-shirt Design Contest. Children in grades K-12 are encouraged to submit a design. Decatur’s Earth Day event will be held on Saturday, April 19 at the Oakhurst Community Garden from 1 until 4 pm and is a collaboration between the City of Decatur and the Wylde Center. The Grand Prize Entry will be on the 2014 Earth Day Celebration T-Shirt and all entries will be on display at the Decatur Library. The entry deadline is Tuesday, March 25, 5 pm and the winners will be notified on April 1. All entries are due to the Wylde Center Offices at the Oakhurst Garden, 435 Oakview Road, Decatur, GA 30030 and must have a submission form attached to be included in the contest.